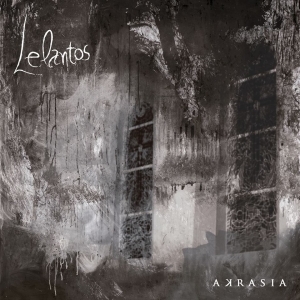 A little hit or miss overall, Lelantos show promise with their atmospheric Funeral Doom. The name Lelantos is derived from Greek mythology, the name of the Titan of air. This is perhaps the most fitting name for this one-man Funeral Doom project from Brazil as air is an element more difficult to define with words. 'Akrasia' is the first and only release of the project and contains five tracks that take the listener on a journey of ethereal summits and ubiquitous valleys across a solitary universe concocted by one Bruno Braga, vocalist and instrumentalist. It seems the goal of the music is to lead the listener down a path of discovery deep into the recesses of one's own mind. Opening the album, the first track is 'Prelude to Inexistence', and it can be labelled correctly as an über minimalist exercise of 7:41 worth of piano/keyboard that seems to lack direction or purpose. Perhaps this is due to the fact that this is a one-man project and therefore lacks other members to smoke the same leaf/substance and engage in any discourse about prospective ideas or motifs. Often, one's ideas must be met with some kind of sounding board in order to take the form of anything truly palatable. This is more than evidenced by the lack of direction evident from this first track. The first true "song", track 2, 'Act I Solemn Will to Prevail' is in stark contrast to the first track in that it has a unifying sense of purpose and direction. It begins with a moving piano melody featuring more treble than bass that truly opens up after larger chords are introduced and keyboard lines dripping with effects are added. Soon, slow methodical de-tuned guitars, bass, and drums enter, and one is taken to a state of Doom-bliss. 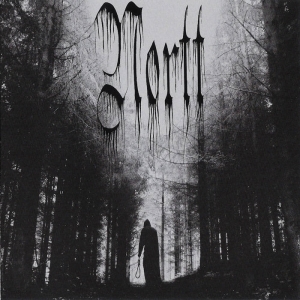 The gorgeous keyboard parts lush with layering contrast the simple plodding Doom guitars sublimely. Clean male and female vocals enter and when put up against the heavy instruments, one gets the impression of mid 90s Anathema and The Gathering. The final track, 'Act IV Apathy and Perishment', is also of note as it begins less subtly than the others with chugging guitars over a main melody formed from augmented keyboard chords. 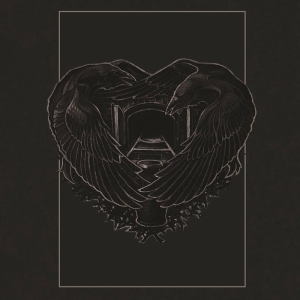 One truly feels as if in the final chapter of a long journey, and the song gives a very old school Paradise Lost vibe with its juxtaposition of single note guitar melodies and dry, guttural vocals. At the 6:43 mark, the most haunting passage of the album occurs with a distinct, chilling single-note piano line expanded upon with bass chords drenched in reverb. Each measure takes the musical narrative down a familiar yet unknown lane as it resolves the over-simplified puzzlement of the album's intro. Listening to the album, one cannot help but feel as if standing in front of a door leading to myriad realms of fantasy with the only choice one has being to take the first step into imagination. 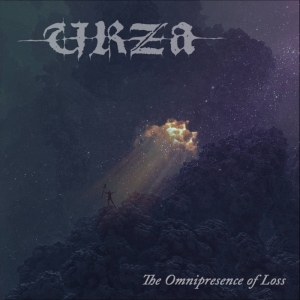 Instrumentally, the album is quintessential Funeral Doom with thick, ultra-low distorted guitars, haunting reverb-laden leads, saturated bass a la Peter Steele, drums that function as rhythmic time keeper, and keyboards that act as both embellishment and constructor of key phrasings of melody, effectively giving the music an ethereal feeling as if travelling behind the veil into the otherworld. The music works best when the keyboards lay the foundation of the melody and the guitars introduce lines that dazzle in and around the melody and deep, palm-muted rhythms that pulse with every phrase. When this formula is eschewed for an exercise in the abstract, such as the first track, is when the album fails, miserably sounding like audible pretentious noodling from a misunderstood artist that will most likely remain so. Should Mr. Braga hone in on his strengths and shed his more self-serving shenanigans in abstraction, Lelantos could become a viable force to be reckoned with within the genre. Hiring a band would help as well.